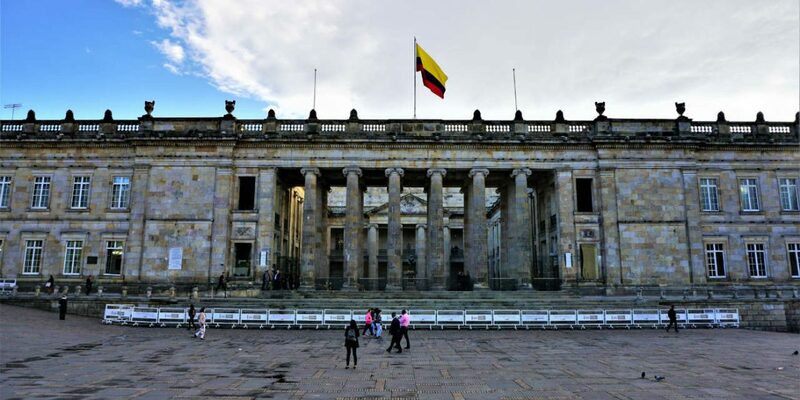 Colombia’s government clashed with Congress on Thursday when senators refused to debate President Ivan Duque‘s four-year development plan that must be approved before Saturday. The National Development Plan (NDP) defines the government’s socio-economic policy for its full term, but was boycotted by lawmakers who claimed they had only received the 900-page proposal the day before the debate. Consequently, the debate was adjourned because not enough senators were present. The decision of lawmakers to abandon the session created a crisis situation; if Congress doesn’t approve the NDP before Saturday, the government can push the legislation forward by decree. Finance Minister Alberto Carrasquilla accused the lawmakers of trying to “blackmail” the government into making concessions. “The National Government is not going to give in to blackmail like the ones they are trying to impose,” Carrasquilla said angrily. According to the minister, he had already agreed to add 128 articles to the NDP in informal meetings with political parties. It is unclear why the formal debate was held less than 48 hours before the deadline that was set five days after Congress’ return from its three-month Christmas recess. While Carrasquilla blamed lawmakers of the legislative mess, senators of the leftist opposition and and independent parties from the center right laid the blame with the administration for finalizing its proposal one day before the debate. “We decided to abandon the debate because to us it seems irresponsible to approve something that we have had less than a day to study and that includes important issues like subsidies on public services and resources for the peace process,” Senator Richard Aguilar of the right-wing Radical Change (CR) party. The government’s failure to timely present the NDP and congress”refusal to debate it will likely result in a “blank check” for Duque that allows the president to define his administration’s socio-economic policy without due input from Congress.